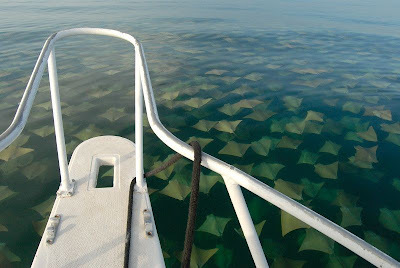 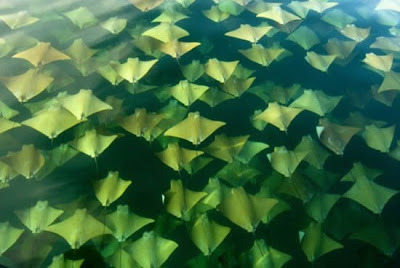 Taken by an amateur photographer in the waters of the Gulf of Mexico, these photos show the great migration of the Cow-nose Stingrays from the Yucatan Peninsula to western Florida. 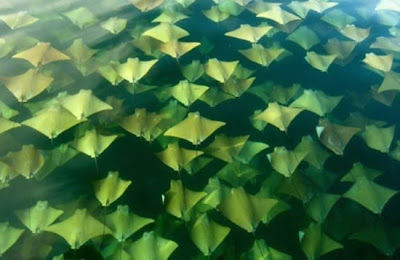 They travel in compact packs of up to 10,000 individuals, following the counter-clockwise current to their summer feeding grounds. 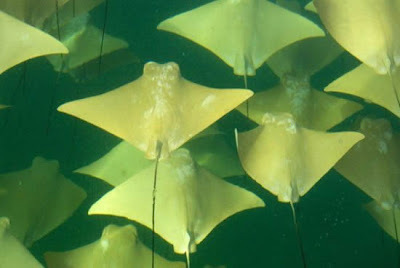 These bovine-looking stingrays have a poisonous stinger, similar to the one that killed animal-lover Steve Irwin, but this doesn’t make them less pleasant to look at, especially during their migration.